1.2 How Do You Find The Right Loan Broker? Since the advent of Finance brokers, buyers can literally be spoiled for choice these days when it comes to mortgage financing options. There are numerous choices from different institutions to pick from. Nevertheless, trying to wade through this maze on your own can be a time consuming undertaking. The work of a home loan broker is to guide customers through all the good and not so good choices, and then come up with a solution that is tailored to their specific needs. Co-ordinate a successful settlement with real estate agents, solicitors and the lenders legal dept. There are many benefits of using a professional mortgage broker when searching for the best financing option. There are numerous lenders offering hundreds of home loans today. Each of these loans naturally comes with a lot of fine print. Scrutinising them on your own is a daunting task, especially if you have little knowledge of the financing market. A loan broker will sort through all of them, and conveniently narrow the options for you. Furthermore, the huge amount of paperwork required can be completed by your broker, in conjunction with any other parties involved in the transaction. This saves a lot of time and effort, and prevents the whole process from taking over your life. For the most part finance brokers do not charge their clients any fee. They earn their keep from commissions paid to them by lenders, for each mortgage they secure. This means you get expert advice and assistance from an experienced professional for free! Seasoned brokers are experts in their field. They are qualified professionals just like doctors or lawyers. Therefore, they have deep knowledge about the mortgage market and all the players in it. This enables them to provide expert advice, and show you where to find the best financing solution. Loan brokers have a great working relationship with lenders. You too can benefit in many ways from this close relationship. Brokers can process your loan application much faster than if you submitted it on your own. In many instances, they use their close relationship with lenders to secure loans for people whose applications were initially rejected by the same bank. There are several laws that regulate the mortgage brokering profession. These are set out in the National Consumer Credit Protection Act. These laws apply to all states and territories in Australia. They aim to protect the consumer when applying for a home loan with a broker. Of particular interest is the law regarding the suitability of the mortgage offered to a consumer by a broker. This requirement was introduced in 2009, and prohibits any broker from providing an unsuitable loan to anyone. A loan is considered to be unsuitable if it does not meet a consumer’s specific needs and requests. It must also be affordable to the consumer, without creating undue financial hardship. This legal requirement ensures that any loan you obtain through a financial broker will certainly meet all your needs. It will also be within your budget, so it does not become a financial burden. Further amendments to the NCCP Act were made in 2011, which spell out even greater protection for broker’s clients. They include a provision that the mortgage broker must furnish you with a ‘Key Facts Sheet’. This will have relevant information about the loan offered to you. It includes all the information about your particular needs and requests. It will also detail specifics about the loan, such as the payment amount and loan period. The services of a mortgage broker are therefore well regulated by law, to ensure that all your interests as a consumer are protected. These legal protections along with the advantages outlined above, clearly indicate the huge benefits of using a broker’s services. How Do You Find The Right Loan Broker? There are several factors you need to consider before choosing a broker. The best mortgage broker will be one who takes the time to find a loan that fits your true needs. Is the broker a member of the Mortgage & Finance Association Of Australia (MFAA)? The Mortgage Finance Association of Australia is a body that regulates mortgage brokers. It sets stringent rules to ensure that all members adhere to strict professional standards. It also has a complaints process in case any consumer is aggrieved. Any broker who shuns membership in professional bodies is most likely avoiding such scrutiny. This may suggest their practices are not entirely above board. Does the broker deal with several lenders? A loan broker who deals with many lenders is a better choice. This is because they are able to offer a wider range of options to select from. One who uses only two or three lenders will restrict your choices, making you miss out on better alternatives. How did the broker identify the best loan? The best brokers use a standard methodology to select the best loans for customers. Find out how the broker arrived at the options being offered. The mortgage broker should also detail all the costs associated with the loan. This is to avoid hidden charges that make the loan more costly in the end. Having all this information will also allow you to compare available options for yourself, and see which one fits your needs best. Do not deal with brokers who are reluctant to provide detailed loan information. Most brokers do not charge a fee for their services. In case they do, make sure you know exactly how much the fee is. You should preferably have it in writing to prevent disputes later on. If the broker is paid a commission by the lender, find out what that is. This is because some lenders pay higher commissions than others. Ensure that the broker’s judgment is not influenced by this consideration. 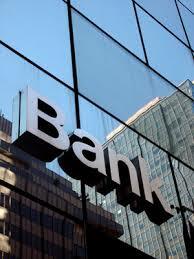 In today’s world of corporate dominance many loan broker organisations have now been purchased by the major lenders. This could mean that they hold a bias toward a particular lender. All brokers now must belong to a head group (aggregator). Because of the strong growth of mortgage brokers and their popularity major banks have sought to control this market segment also. So, if you have any concerns on this issue, then you are quite entitled to directly ask the broker about the structure of their family tree. Finally, a loan broker that comes with with great recommendations is always the best option. Check Google Reviews, find family, friends, or work colleagues who have dealt with the broker, and ask them about their experiences. This is a great way of evaluating any finance brokers commitment and standard of service.